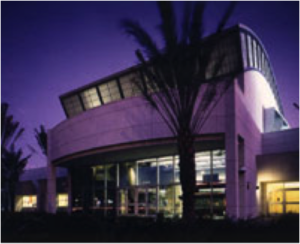 Built in 1995 to replace a smaller SCE complex, the ERC managed to incorporate 62% of the former building’s materials into its makeup. Creative reuse of offsite materials can also be found here, including guns collected by the LA Sherriff’s Department which were melted down and incorporated into the building’s steel frame. The ERC hosts regular seminars and exhibitions where visitors are given a firsthand look at its energy efficient design and technology.